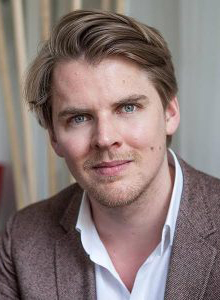 Moritz von Petersdorff-Campen is the founder and CEO of SuitePad in Berlin. SuitePad is working with more than 500 hotels in 23 countries to help them to engage their hotel guests in a digital way. By offering in-room-tablets, a Bring-Your-Own-Device Solution and more products SuitePad reaches roughly 10 Million guests per year. At the same time SuitePad helps hotels to sell more services while decreasing operational costs. Before starting SuitePad Moritz founded cloudnumbers.com, a High Performance Cloud Computing Startup providing access to HPC clusters for statisticians and mathematics. He graduated from WHU Otto Beisheim School of Management in Germany.